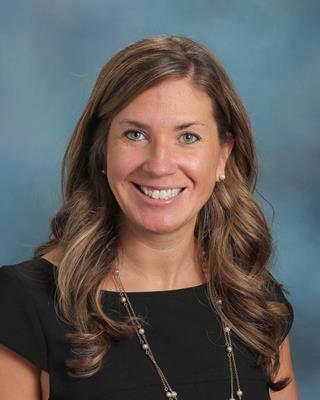 We would like to introduce our new Assistant Principal of Student Services beginning in the 2019-2020 school year, Dr. Melissa Pikul. To say our candidate pool was competitive would be an understatement. Over 150 applicants applied for the position and went through a rigorous process involving the entire student services department, teachers, students, parents, and administrators from across the district. We are confident that we have identified the person who will best serve the Maine South community. Dr. Pikul is currently the Assistant Principal for Student Services at Lake Zurich High School, a position she has held for the past five years. She oversees the dean’s office, school counselors, school social workers, school psychologists, health office, registrar, RtI process, and the master scheduling process. Dr. Pikul is passionate about Social Emotional Learning and built a freshman mentoring program aligned to the CASEL competencies to grow behavioral capacities and leadership in students. Her career began at Warren Township High School teaching AP Psychology and Economics. She served as the Social Science department lead teacher at Warren and spent a summer as the summer school dean. She moved full-time into administration as a dean at Lake Zurich High School and held that position for three years before stepping into her current role as Assistant Principal for Student Services in 2014. In 2017, Dr. Pikul was recognized as the District 95 and Lake Zurich Area Chamber of Commerce “Educator of the Year”. She holds a bachelors from Marquette University in Psychology, a masters from St. Xavier in Teaching and Leadership, a masters from Concordia in Education, and a doctorate from Concordia in Educational Leadership. Last summer, Dr. Pikul taught a class at Concordia in School Evaluation and Change. Her dissertation is titled: Changes in the Social and Emotional Wellness of Students After Participation in a Mentoring Program. The committees were extremely impressed by Dr. Pikul’s student-centered orientation, clear communication, and collaborative nature. She is a big fan of reading, shopping, and spending time with friends and family. Dr. Pikul is an avid Chicago sports fan but also roots for the Bills, as she is originally from Buffalo, New York.